The kittens are having a blast. We are trying to figure out the next step for them at this point. But in the meantime, it is a party around here. is she coming or not? This cat sack was part of our Secret Paws box. No one seemed willing to go inside, so mom grabbed Daiquiri and shoved her in it. 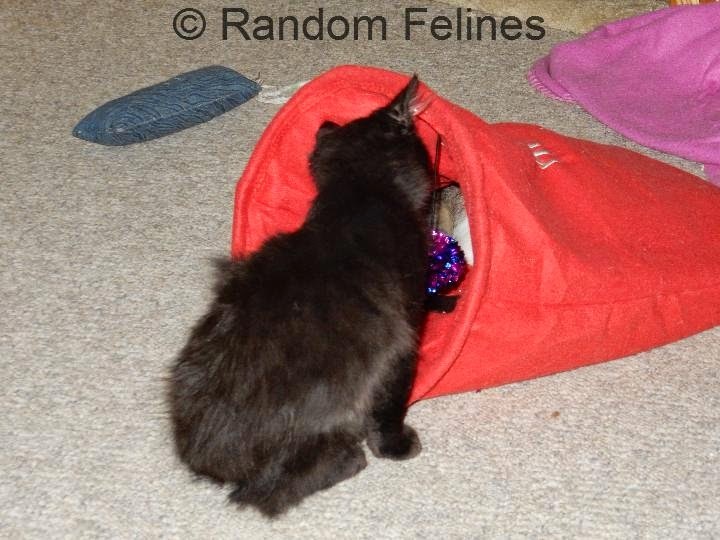 And suddenly she discovered it was pretty nice in there....until Kahlua heard the crinkling and came over to investigate. Crinkly, moving things are the vest! 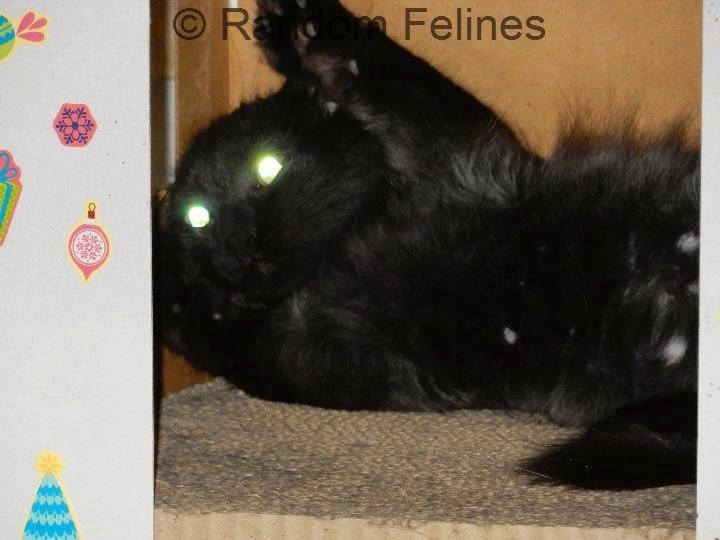 We think the black kitty has his headlights on and as for the crinkly cat sack we bet that will be the most fun. Sometimes a cat just has to take the plunge - or have mum make her take it! It's tiring trying to defend the house if no one shows up to scare off. I totally understand! - Crepes. I am happy they decided it was fun. We have a green one and my cats like to mush it down and lay on it, they like the crinkle. 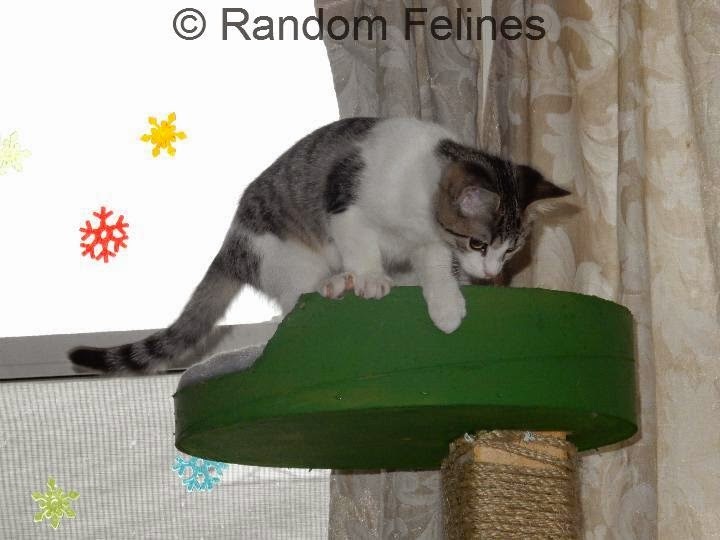 How fun to have kittens at Christmastime! Wait, I'M a kitten! Nothing much better than the kitten krazies!!! Looks like the sack is a lot of fun after all. 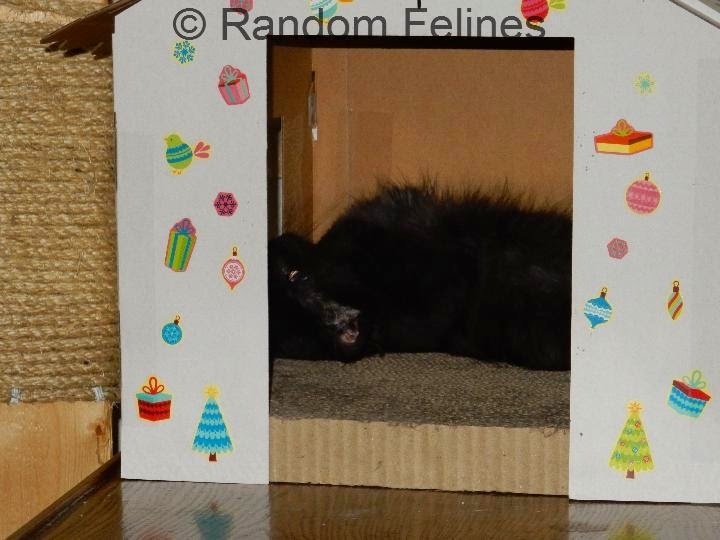 Looks like the perfect way to enjoy the holidays, with lots of kitten entertainment! Those kittens must be a whole lot of fun! Here's hoping their forever homes in the New Year! That tunnel looks like a lot of fun! 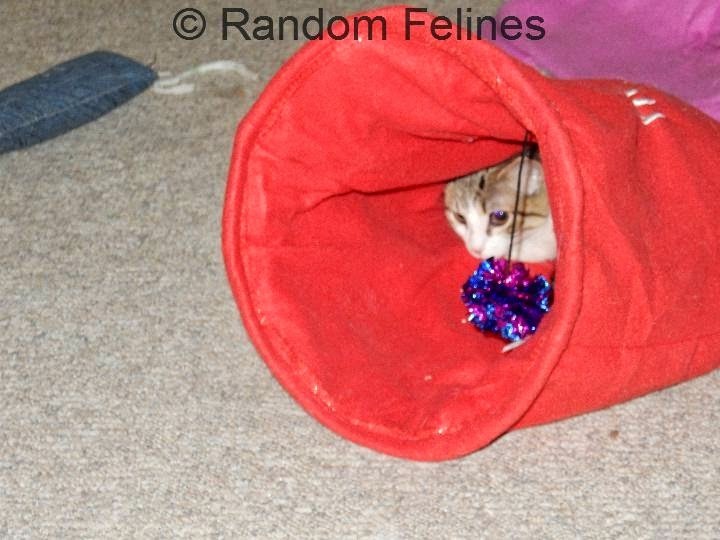 They will love that tunnel over time :) Merry Christmas to all you kitties and to your wonderful Mama too! oooh, defending the Territory!! ATAAAAAAAACK!!!! !